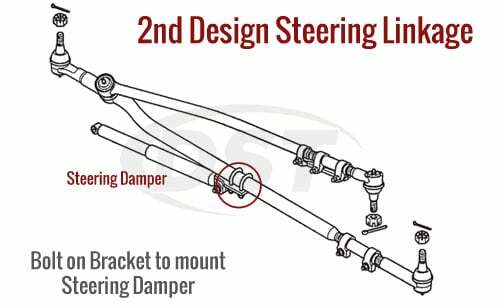 To see what is included in the 1st Design Steering Package click HERE for the product page. It went together very nice. Was pleased by overall. 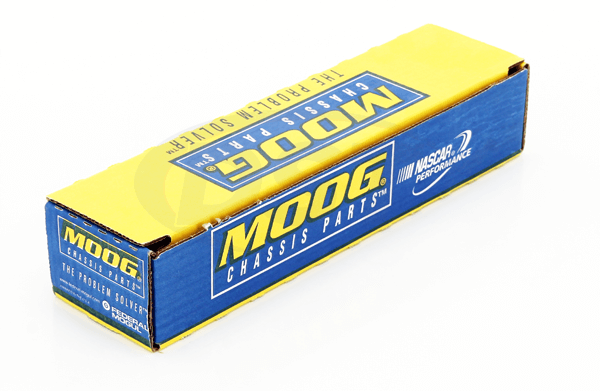 What parts do I need to use this package to update my truck to the 2nd steering setup? Is this a direct bolt on (no modification) setup? You would need to replace the pitman arm and steering damper to complete the conversion. You would need the k440002 pitman arm and the steering damper ssd132. Will 1st or 2nd design work for my vehicle.  You need to look at the steering on your truck. 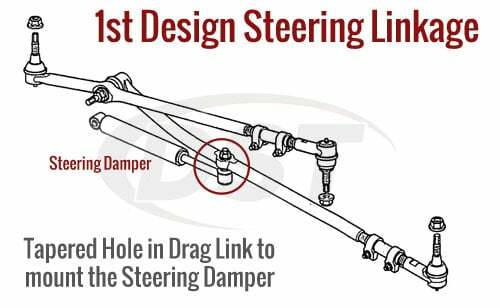 The 1st design the steering damper attaches to the drag link with a tapered stud. The 2nd design the steering damper attaches to the drag link with 2 u-bolts and a bracket. How do I know if I have chosen the correct parts and if not can I return them? 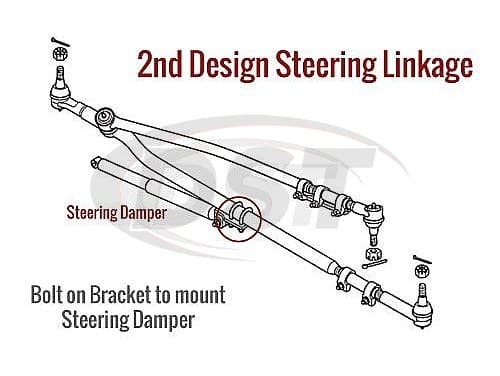 These models of Dodge Ram have two different steering linkage designs. 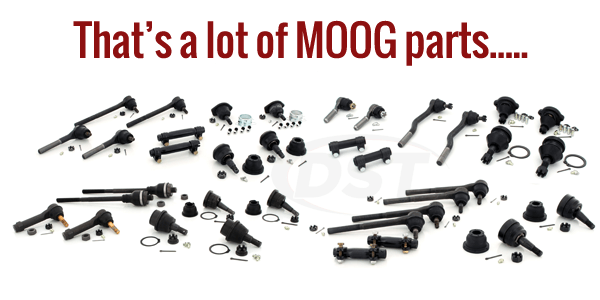 This package deal will only fit the 2nd Design Steering Linkage: with a bolt on bracket for steering damper mounting. So be sure to check under your Dodge to verify you have the correct steering linkage for this package.